Helps firm and tone skin the natural and effective way. 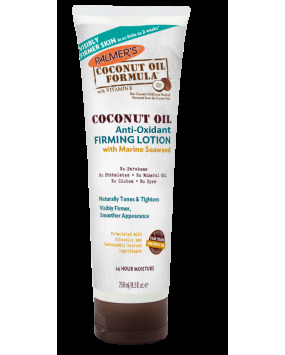 whilst Coconut Oil and Sweet Almond Oil boost skin elasticity and moisture. The unique blend of these 4 natural ingredients results in a more toned and firmer skin appearance in as little as 2 weeks*. 98% of women tested found that their skin appeared firmer and more toned after incorporating this lotion into their daily skin care regime. *Independent 4 week in-home user trial, 50 subjects. No Parabens, Phthalates, Mineral Oil, Gluten, Dyes. 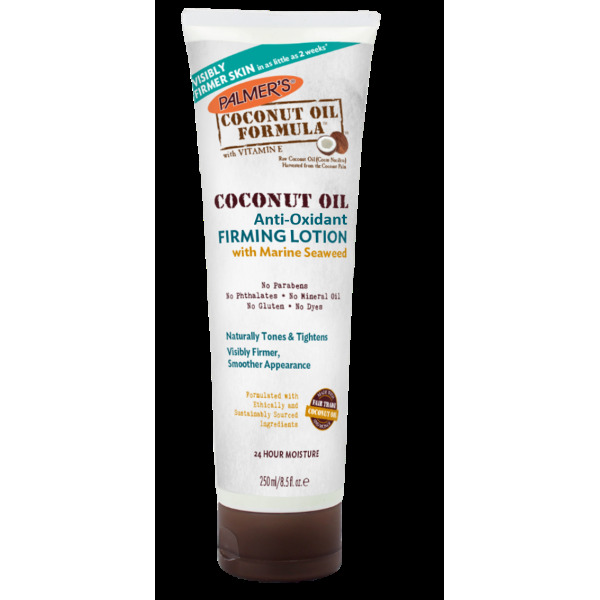 For better results start by applying Palmer's Coconut Oil Body Firming Sheet Mask to target areas, then follow by applying Palmer's Coconut Oil Firming Body Lotion all over your body.